Beautiful strong highlights of the music from the 2010 Long Dance. Live spirit in action. Get the vibe! 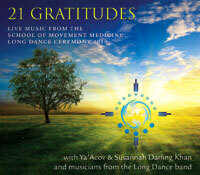 Big thanks to all the amazing musicians and artists who made such a generous give-away.